One of the things I like most about guiding pilgrims and Christians is seeing travelers encountering the sites. People who grew up on Bible stories, who have been hearing about Nazareth, Bethlehem and Jerusalem since they were children, come to the actual places and better understand the stories they grew up with: all the pieces of the puzzle come together. 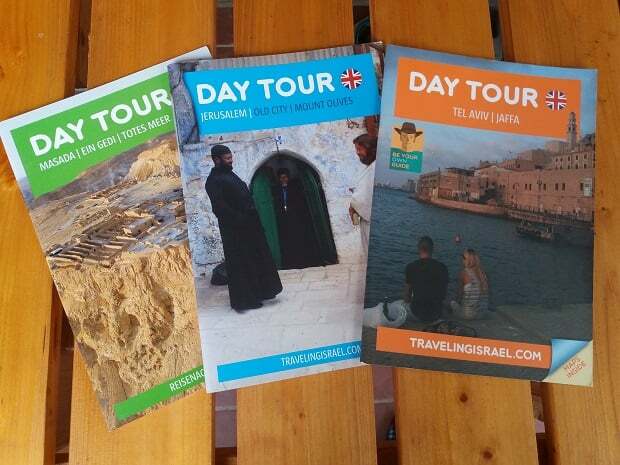 Something else that enhances the experience of travelers is that, unlike synagogues, many churches commemorate events from the New Testament. There are almost no synagogues commemorating events from the Jewish Bible. You can walk with the New Testament through the different stages of Jesus’ life. There are, of course, many other important churches but for this post I have chosen ten churches that relate the main events of the life of Jesus in chronological order. The place where it all began. The Church of the Annunciation is located in the heart of Nazareth, on the site where, according to tradition, the house of Mary once stood. Today Nazareth is a city of 70,000 inhabitants but 2,000 years ago Nazareth was a small village. According to Catholic tradition this is the place where the Angel Gabriel announced to Mary that she would conceive a child and become the mother of Jesus, Son of God. The theological importance is immense, for this is where God became human or, in the words of the New Testament – ‘The Word became flesh’ (John 1:14). The Church of the Annunciation has been built and destroyed several times. The church in its current incarnation was built in 1969 but the importance of this site (and of the sites to follow) lies not in the building but in the archeological site inside it, identified as the house of Mary. More information about the Church of the Annunciation. Mary and Joseph had to go to Bethlehem because the Romans were conducting a census and Joseph was originally from Bethlehem. Bethlehem was also the birthplace of King David. The connection between the Old and New Testaments can be seen in many sites. The New Testament actually begins with the family line running through the generations from Abraham to Joseph to Jesus. Mary and Joseph couldn’t find a place to stay in a guesthouse, hence Jesus being placed in a manger. According to tradition, Jesus was born on the 25th of December. Most scholars estimate that the birth occurred between 4-6 BCE since it is written that King Herod was alive and scholars believe Herod died in 4 BCE. The church was first built in the year 325 but has been destroyed and rebuilt several times. Different parts of the church belong to different groups: the Greek Orthodox, Catholics and the Armenians. John the Baptist recognized Jesus as the Son of God and baptized him in the waters of the Jordan River. This is the first event in the New Testament in which the Father, Son and the Holy Spirit are mentioned together. John baptized Jesus where, according to tradition, Joshua (who led the Israelites after the death of Moses) passed the Jordan River with the Israelite tribes when bringing them to the land of Israel. 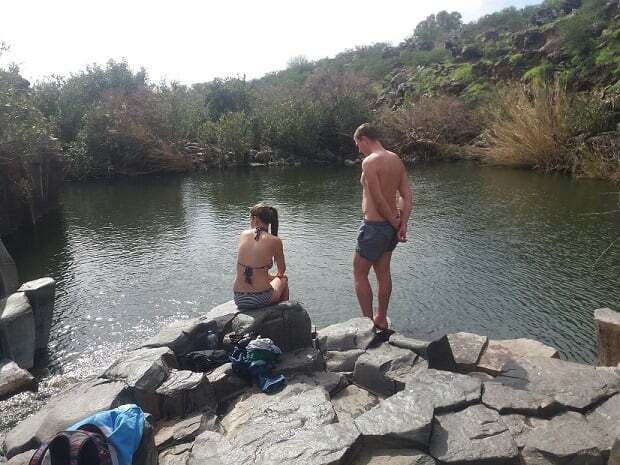 The waters of the Jordan River symbolize the coming of the Israelites to the Promised Land and Jesus’ baptism in those waters was symbolic of his status: he was a new leader who would take his followers into a new era. In the first centuries many Christian denominations commemorated the date of the baptism as more important than the date of birth because it was from that point that he started his mission. 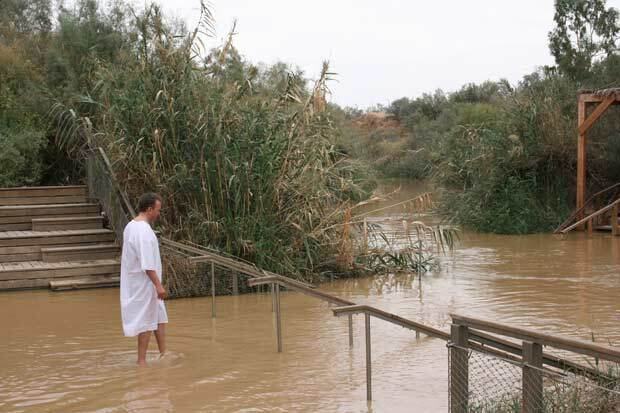 There are some churches on the Israeli side of the Jordan River and some on the Jordanian side, but the water is the most important thing. Many pilgrims come here to be baptized, many by their community priest. 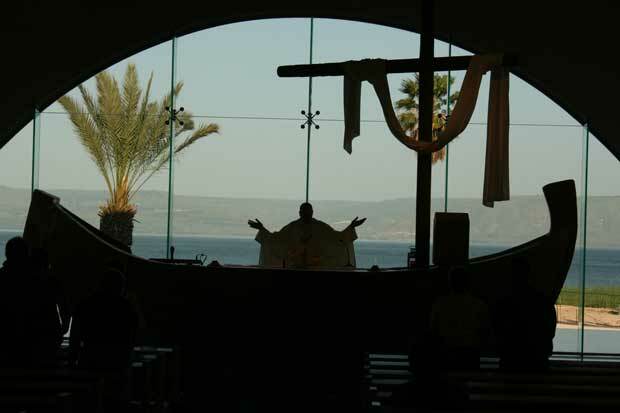 There is another baptismal site, Yardenit, south of the Sea of Galilee. Jesus grew up in Nazareth. The New Testament tells us very little about that time in Jesus’ life, but it is important to remember that 30 out of 33 years of his life were spent in Nazareth. After Jesus was baptized he came back to Nazareth and preached in a synagogue, implying that he was the Messiah. The crowd was displeased and took him out of the synagogue with the intention of hurting him, but Jesus disappeared among the people. Disappointed by the people of Nazareth, he moved to the area surrounding the Sea of Galilee, where he lived for three years. It is believed that this church stands on the spot where the synagogue where Jesus preached once stood. It’s important to remember that Jesus was born a Jew, his disciples were all Jews, he preached to the Jews and was buried a Jew. Not at any point in the New Testament does Jesus talk about starting a new religion. In order to understand the life of Jesus one must understand the time in which he lived in – the end of the second Temple, the first century CE. 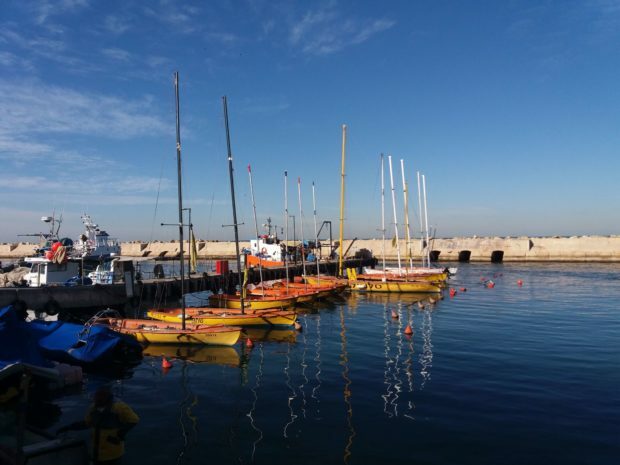 After Jesus left Nazareth he lived in Capernaum, hence the name – the town of Jesus. Four of Jesus’ apostles came from Capernaum: Andrew, James, John and Simon Peter. 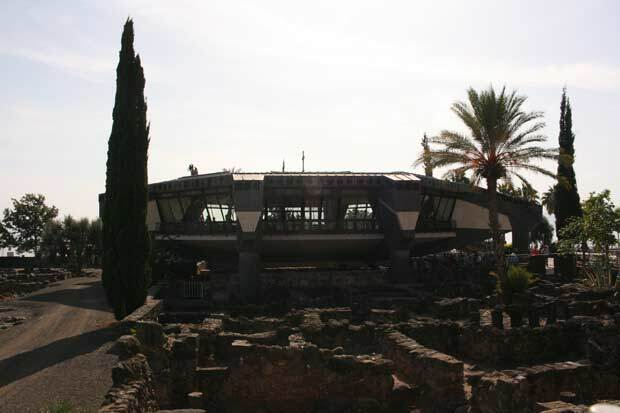 Today Capernaum is an archeological site incorporating places mentioned in the New Testament. The impressive Capernaum synagogue dates from the 5th century but it was built on the ruins of a synagogue dating from the 1st century, where Jesus, according to the New Testament, prayed, preached and performed miracles (Luke 4:31-36). 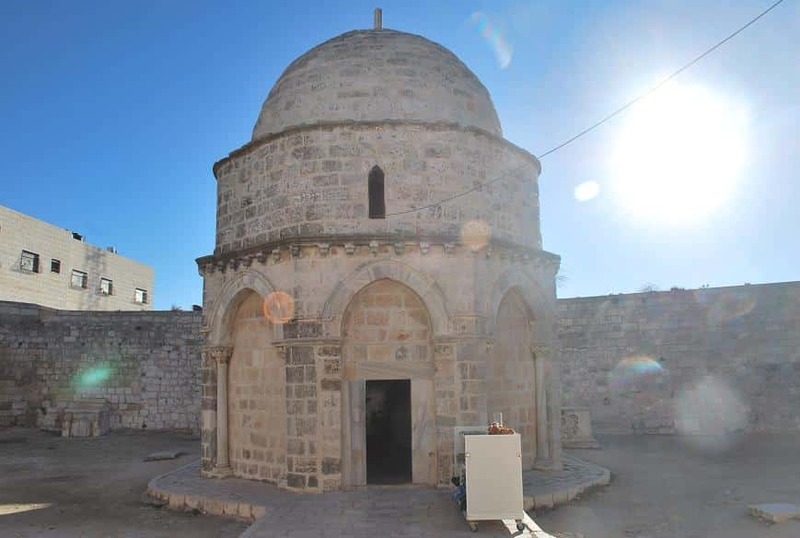 Not far from the synagogue is a modern octagonal church, which was built above a church from the 5th century, which, in turn, was built on the site of a house dating back to the 1st century. According to Catholic tradition, this is the house where Simon Peter lived. The house is mentioned in the New Testament and inscriptions in Greek, Latin and Aramaic were found there. The place was probably one of the first, if not the first, places of gathering for the followers of Jesus, hence its being given the name domus ecclesia (house of gathering). Jesus celebrated Pesach (Passover) in Jerusalem (in the place identified as the Room of the Last Supper). After supper he walked with three of his disciples to Gethsemane, which was a quiet corner of the city. Jesus asked his disciples to stay awake and pray but they fell asleep. Knowing that he would be crucified, Jesus fell to his knees and prayed, asking God: ‘Father, if you are willing, take this cup from me’ (Luke 22:42). Judas came to Jesus and gave him the kiss that was the sign for the Romans to arrest him. 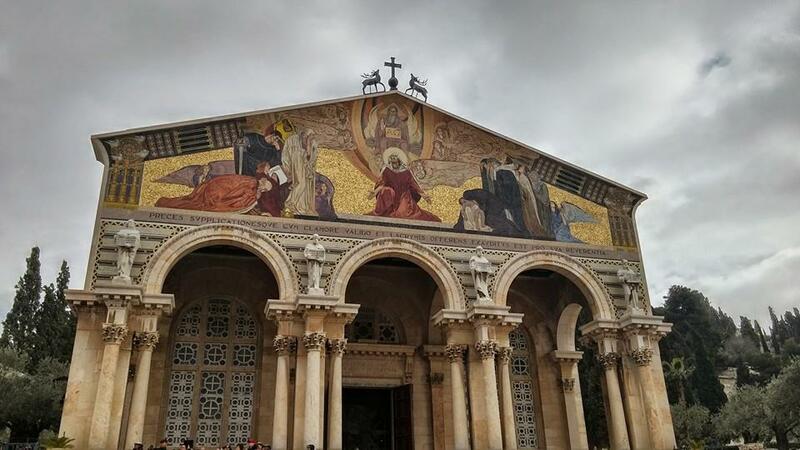 Gethsemane Church is located between the Old City and the Mount of Olives. It is the lowest geographical point as well as the darkest point in Jesus’ life. This is one of the most important churches in the world. Several sites of enormous significance for Christians and, in many ways, for our understanding of the western world are here gathered under one roof. This is where Jesus was crucified, anointed, buried, and resurrected. 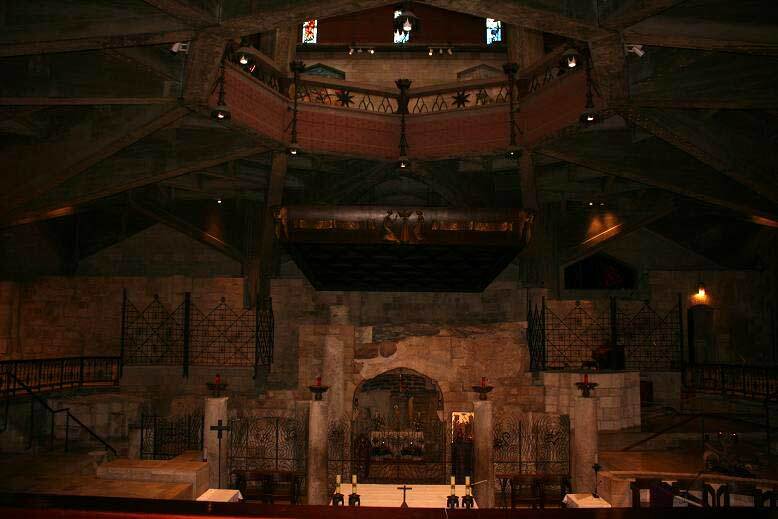 Many pilgrims think of the site of the crucifixion as a hill outside the Old City of Jerusalem and are surprised to see that Golgotha is inside a city church. More interesting information about the Church of the Holy Sepulchre. After Jesus was resurrected he appeared before his believers a few times. Forty days after his resurrection he ascended to heaven from the summit of the Mount of Olives. Today the site is a mosque. 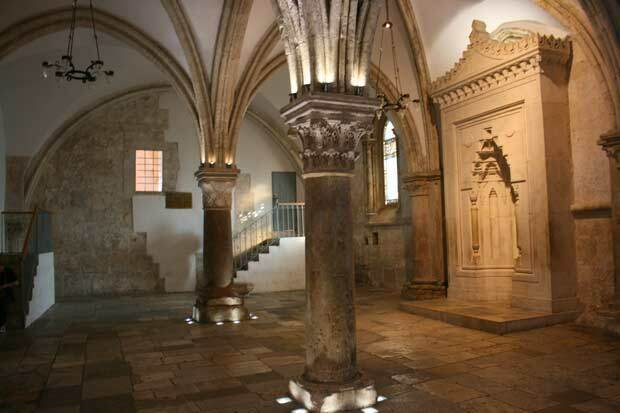 Ten days after the ascension of Jesus his disciples gathered at the Room of the Last Supper. The Holy Spirit came upon them and they started to speak in many different languages. This event marked the birth of the church as an organization. This room is the mother of all churches as it was from here that the disciples distributed the word of Jesus to the world. 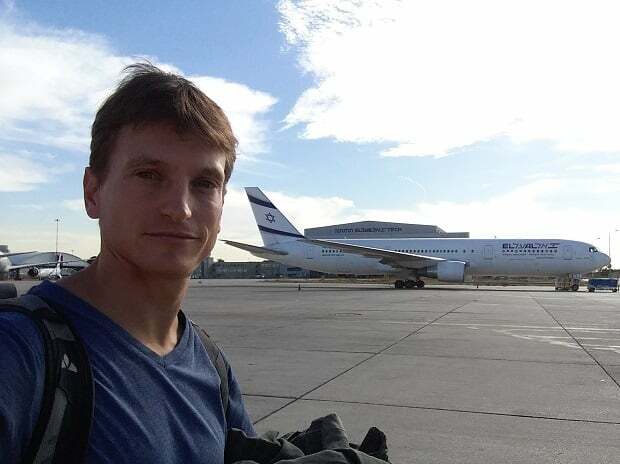 The site is connected to Judaism both geographically and chronologically. According to tradition, the room is about the tomb of King David (and again, both Jesus and King David were born in Bethlehem). 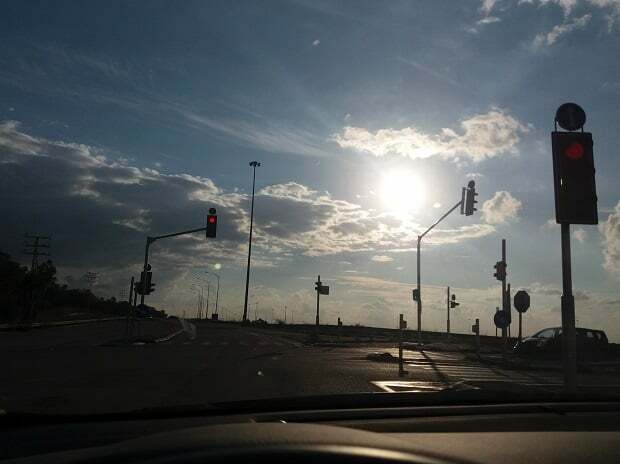 The day that they gathered is exactly 50 days after Pesach, which is Matan Tora, the day the Jews commemorate as when Moses was given the Ten Commandments from God at Mount Sinai. 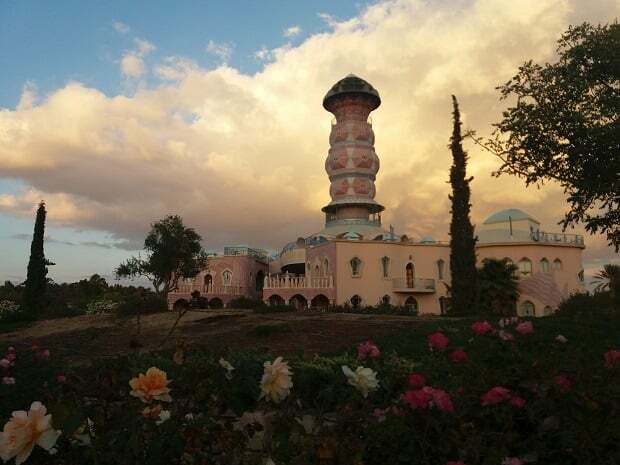 This church is different from the other sites in two respects – it has no connection to the life of Jesus but rather to the life of one of his disciples. On other sites there was a connection to Judaism. This church is about the separation of Christianity from Judaism. 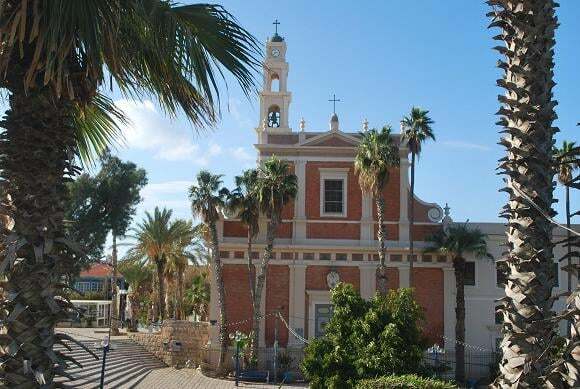 According to tradition, the church stands on the spot where the house of Simon the tanner once stood. St. Peter stayed at his house and fell asleep. He had a vision in which food came down from the sky on a sheet. St. Peter said he couldn’t eat it because it wasn’t kosher but God replied that Peter shouldn’t say that what God creates isn’t kosher (Acts 10:9-16). The meaning of the vision is that the followers of Jesus needn’t keep to the Jewish rules. The separation between Judaism and Christianity was a long process that ended 300 years later when Easter was disconnected from Pesach in the First Council of Nicaea.